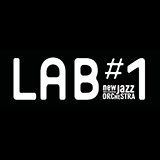 New Rotterdam Jazz Orchestra (NRJO) will conduct a series of LAB concerts in various locations in Rotterdam in the season 2017-2018. The LAB aims to achieve an artistic research and development of the NRJO. NRJO operates as a collective. All members are composing musicians and everyone takes responsibility for the final result. The NRJO has grown tremendously over the last five years. The unanimous dedication and ultimate musical flexibility makes the collective of related spirits unique. For those who attend a concert, it's clear at once. NRJO LAB's program is developed according to a fixed plan and implemented in interaction with the location and it’s audience. Presented to the public in a low-threshold way the band will prepare a program communicating with the audience using a grocery list and a shopping bag. The presence of audience gives the necessary interactive energy to the process and will contribute significantly to the development of the pieces and the band sound.